The past few weeks, I’ve really been diving into True Woman 101: Divine Design: an eight week Bible Study on Biblical Womanhood by Mary A. Kassian and Nancy Leigh Demoss. This study has completely transformed my thinking on gender roles and has made me give considerable thought to exactly what God had in mind when he created male and female. God created women to have a heart for their home. It is a natural, ingrained tendency for women to be more concerned with matters central to the home. This lovely society that we live in has done everything in its power to snuff out those natural tendencies though. The world wants us to think that a woman being in the home is a thing of the past and that her real place and first priority should be in the workforce rather than in the home. Please hear me out here, I am not speaking badly about women in the workforce. I too have been there for the majority of my adult life. That is where I wanted to be for the longest time. I actually remember telling a friend that my children were better off if I wasn’t a stay at home mom. I wanted a career. That was my first priority. My home just had to fall in place somewhere behind that. A few years ago, God began changing my heart. He planted a real desire to become a stay at home mom deep within me. Last October, He finally made a way to bring me home full time. So, I have been home full-time for almost a year now and after my diving into the Divine Design study on Biblical Womanhood, I have truly realized just how far from home my heart really is. 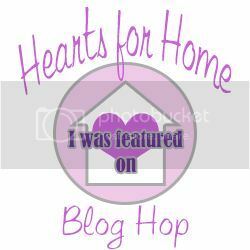 Over the next few weeks during the Hearts for Home blog hop, I’m going to share what I’m learning and what God is showing me as I practice developing a heart that is truly for my home. I pray that you’ll join me. That you will share your tips and encouragement in the journey. If you would like to read more about what has really sparked this desire within me, I highly recommend purchasing the Divine Design: 8 Week Study on Biblical Womanhood. 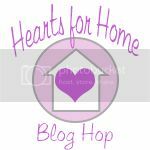 LOVe – developing a heart for home – because it really doesn’t come natural. I am so glad to have jumped on your site here. What an awesome role God has played in your life (and I believe in the lives of all of us who find the joy in caring for our families). It truly is a blessing to be “at home” and I am interested to follow along as you share more over the coming weeks. Thank you for hosting this link-up!